It's pretty obvious I'm itching for spring... I have flowery candles burning, I'm using tropical body scrubs, and I'm loving everything in the pastel colour palette. 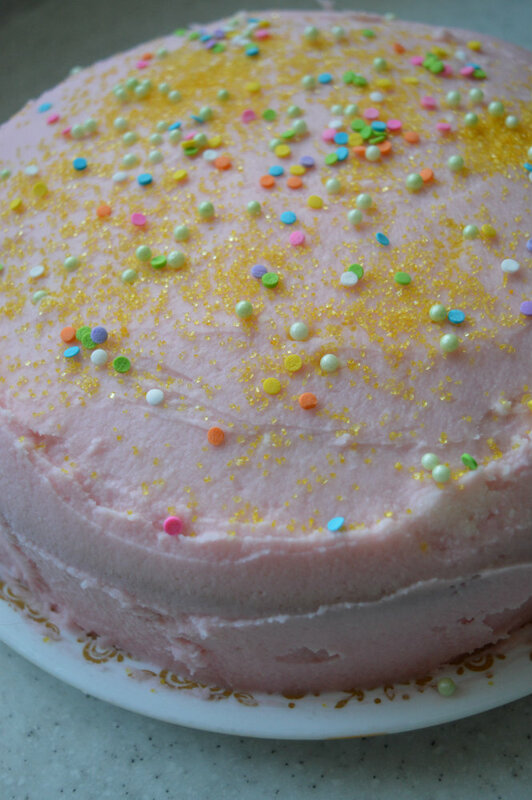 My phone camera made the pink much darker... but it looks so pretty against the sprinkles. That includes cake! 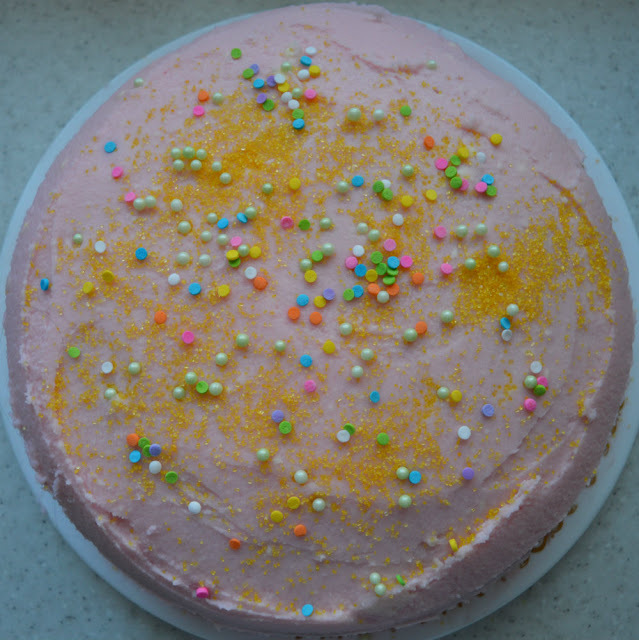 After deciding to make a cake, because why not, I pulled out all my pastel sprinkles for decorating. I made a cherry chip cake with coconut buttercream and it was so yummy! It didn't last long since we took to having cake for breakfast for a couple of days. It's honestly not a bad way to start the day. Especially paired with a hot cup of coffee. 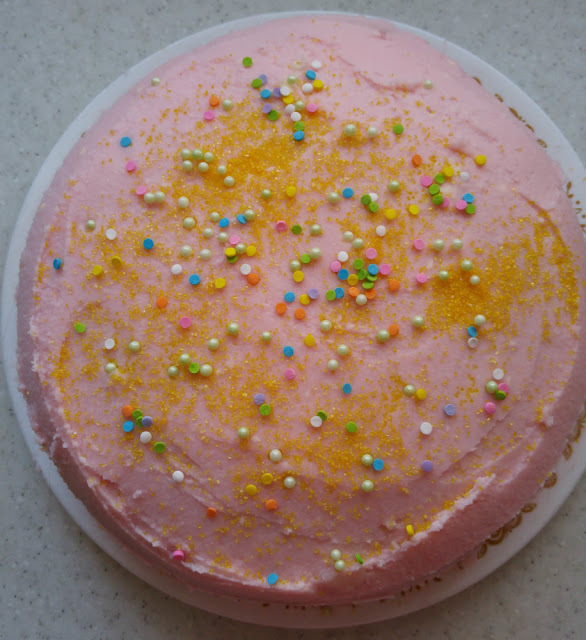 I'm sure you'll see these sprinkles again since I have so much spring inspiration right now and want to bake everything I can!